American Bystander #7 Has Arrived! 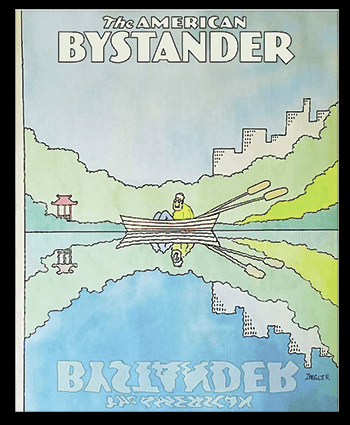 Well, actually I got the PDF for it over a month ago, but I don’t REALLY think an issue of AMERICAN BYSTANDER has arrived until my package of physical copies shows up on the front porch. This issue continues the high standards the fledgling humor magazine has set for itself, with contributions by mainstays M.K.Brown, Howard Cruse, Mimi Pond, Ron Barrett, Rick Geary, and Shannon Wheeler, as well as blushing newcomers Ted Jouplas, Sally Gardner, and R.O.Blechman, and a portfolio feature on pastiche maestro Chris Shapan. My contribution is an illustration for a piece on mindful meditation practice in a Mad Max-style futuristic dystopian hellscape by Lars Kenseth (a gifted cartoonist himself, but possibly too busy to illustrate his own piece this time). Continue reading American Bystander #7 Has Arrived! 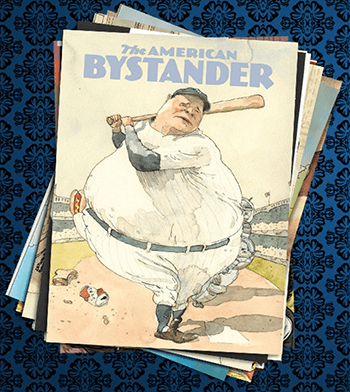 The latest issue of AMERICAN BYSTANDER, America’s freshest humor magazine, is out, by which I mean I’ve finally gotten my contributor’s copies in the mail. 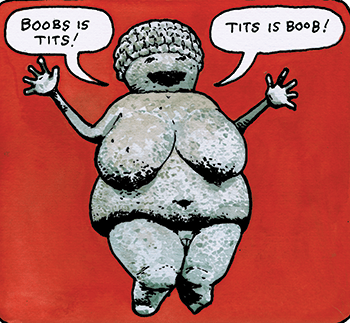 Issue #6 has a cover by the legendary Arnold Roth, as well as some choice humor, illustrations, and comics from a stellar stable of regulars: MK Brown, Rick Geary, Ron Barrett, Randall Enos, Mimi Pond, John Cuneo, Peter Kuper, etc. Continue reading American Bystander #5! 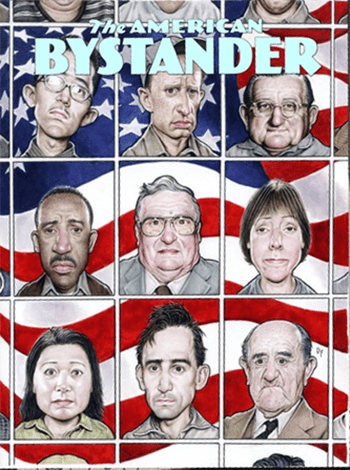 Kind Of Just In Time For Christmas: American Bystander #3! Happy Holidays! My Christmas Eve was cheered by the long-awaited arrival of the third issue of AMERICAN BYSTANDER (long-awaited by me, that is- I understand Kickstarter contributors got their copies in early November). 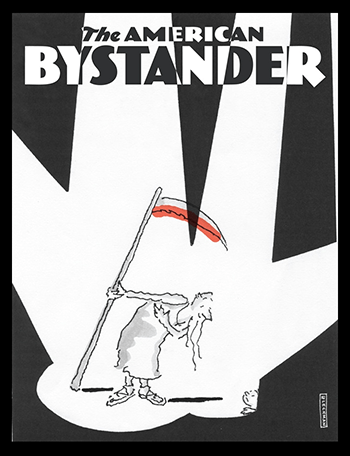 Continue reading Kind Of Just In Time For Christmas: American Bystander #3!